It’s not a surprise that the success of Fear the Walking Dead has spurred AMC to make more content set in that period. But this time, they’re going to make a special that both stands alone and introduces a new character to one of the ongoing series. Entertainment Weekly is reporting that AMC will make a half-hour special—not a movie-length event, which is interesting—showing a group of commercial airline passengers facing an attack. The special will start online, but will air in short chapters during The Walking Dead. 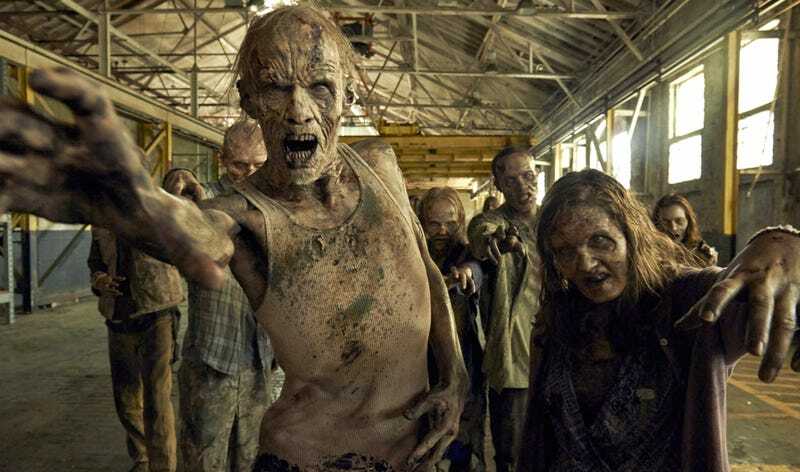 So, during the commercial break of The Walking Dead, you’ll see scenes from a prequel to The Walking Dead. And then, at the end of it all, one of the surviving characters of the zombie plane will be are regular on Fear the Walking Dead. Got all that? Because it seems pretty complicated. And also very much an attempt to keep you from fast-forwarding through the commercials.